What is the meaning of producing a movie? What are the challenges? and how do you meet the requirements of the public? 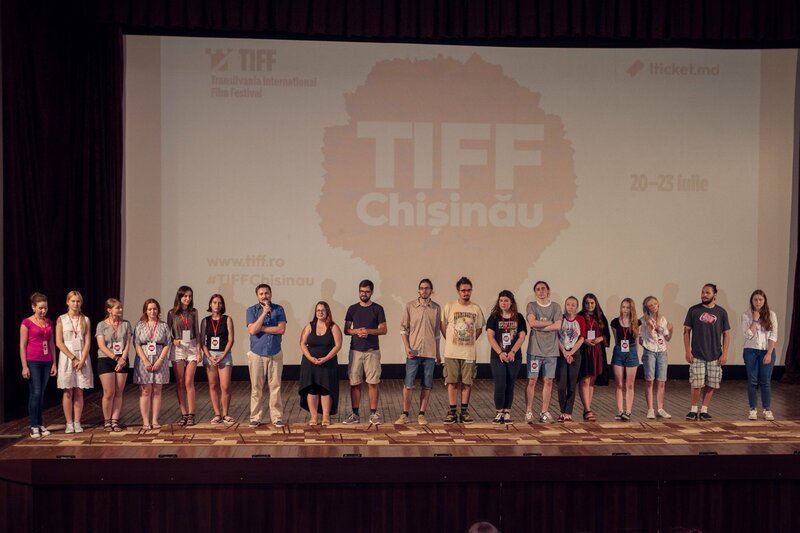 Find it out with the help of Dumitru Marian, ALTFilm Producer, Co-organizer of Animest Chişinău (International Film Festival of Animation) and TIFF Chișinău (Transilvania International Film Festival). A film producer is a manager, a team administrator and process supervisor combined. He/she signs contracts with clients. Theoretically speaking, the producer is not an artist and does not interfere with the content. Because this person is a link between the artist and the buyer, you can’t sell a product that you do not believe in. This job involves knowledge of finance, communication and psychology, so it is taught at school. However, like with many other creative vocations in the film industry, there are many good self-made producers. Moldova is preparing producers at AMTAP (Academy of Arts from Moldova) starting from 2010. There are several ways for a producer to start working on a project. Sometimes, an artist (writer, director) has an idea and needs a man to manage his/her production: gather the rest of the team, find the money, negotiate locations, etc. Sometimes, a producer can have his/her story (from a newspaper, a book, a neighbor…) and decides to produce a film, then finds an artist (director, screenwriter) to ”translate” the story into a film script. What are the challenges? To put your story on the screen you have at first read into it. I'm not referring just to the script, but to the emotions, thoughts you had, when you first read a script. What is your personal reason to jump into this adventure and, most importantly, if your audience will experience the same emotions and thoughts when it sees your film? Aberrations such as "everybody can understand what he wants" are artist misunderstandings. You need to know exactly what you produce and why you do this, and the audience needs to understand what you want them to understand, not what they want. In 2011, Animest was already 5 years old in Bucharest, and the organizers knew that there were people in Chisinau who might be interested in seeing these movies. 2009 was the year I started to really believe in the (re)birth of the national film industry and started to communicate with all the producers I knew outside the country, including Romania. I was asking for advice, I was self-inviting myself to the festivals, telling how talented we are. At that time, we fought for the cinema law and waited for the big change. And because I was hyperactive on that turf, people started referencing me. That's how I got to make selections of films and people from Moldova for international festivals, workshops and other events. That's how “Animest boys” heard of me, and at the first meeting in the spring of 2011 in Sofia, our partnership was born. On November 3, 2011, Animest Chişinău launched its first edition. With TIFF it took a little longer, although I knew their organizers for a long time. In 2016 we did our first edition of TIFF. The biggest mistake is to learn from the mistakes of others. Culture has this magic facility to change opinions and even destinies, and a cultural manager must truly believe in it. Management, communications, finance and legislation skills should be learned. Love what you are doing. What we don't see in young people these days is the willingness to put the money-making urge aside. We do not have to treat culture, film industry as a field in which we are begging for money, and the artist does not always have to be hungry, but it's a must to start doing this from passion before you think how rich you can become. Sometimes the money comes from a client, sometimes from international and national funds, and in rare cases, a producer puts his own money into play. To cover all the costs, you need to evaluate correctly the project. If you have not done that, nobody will give you money or you lose yours. Funny and bizarre as it is, but of the Moldovan film is that it works on the basis of friendship and passion, and this matters… at first, but it can’t last forever. The producer must be smart enough not to have to "create" and the director must be creative enough to find a good producer. On our small market it's harder to respect that, but so far we have no super-achievements to boast about, don’t we? A tip for young producers: Go to a motorcycle shop and convince the retailer to give you a brand new motorcycle for one day, free of charge. After that... let's talk about producing a movie.